Schedule online to give blood on January 27, 2018. Unlike our regular blood drives, this one is organized as an Eagle Scout project for Shorecrest High School sophomore Nicholas King. King, a member Troop 348 in Lake Forest Park, needs to turn out 50 donors, including 15 first time donors for his Eagle Scout project to be successful. The Bloodworks van will be at Lake Forest Park Elementary School, 18500 37th Ave NE, Lake Forest Park 98155 from 10am to 4pm with a one hour break for lunch. All negative blood types (O-, A-, B-) and platelets especially needed. 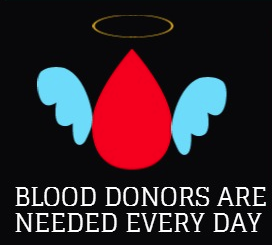 Feel free to contact BloodWorks NW (425-412-1017) with any questions.